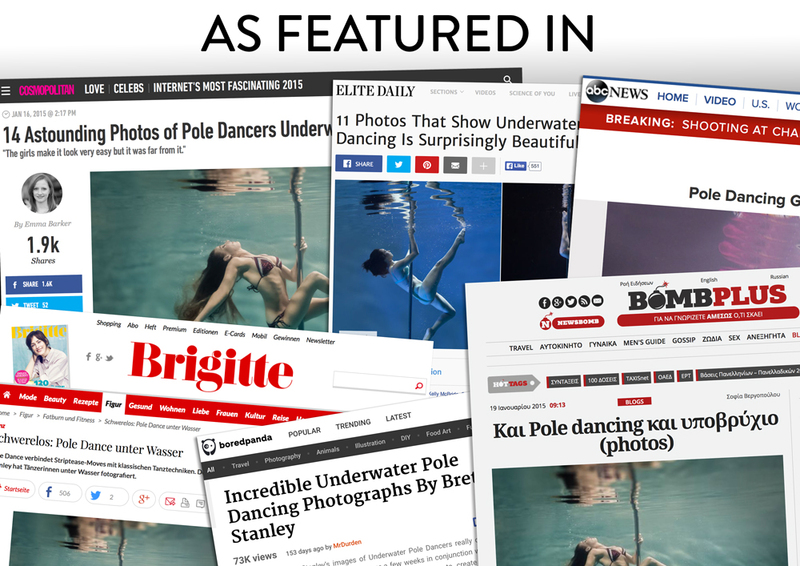 This series received global acclaim earlier this year and has become an international phenomenon, being the first time photographing a series of pole dancers underwater. It was seen in over 70 countries and was published in newspapers and on television world wide. 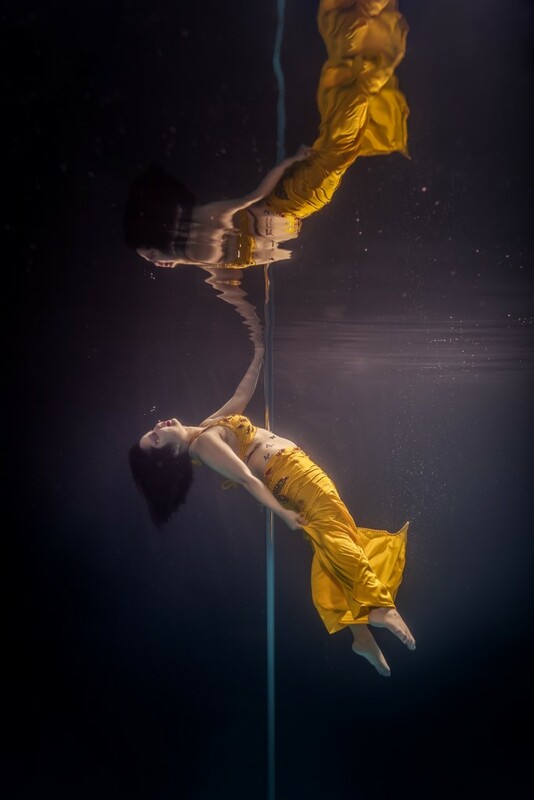 Late in 2014 we started working with X-Pole, a leading supplier of Pole Fitness equipment, and some very talented Pole Dancers to capture the images below. The girls make it look very easy but it was far from it, the relative zero-gravity of the water meant that they had to re-think poses, up was now down, and having to hold their breath along with all this just made it all the more complex! Please enjoy the images below and also check out the Behind The Scenes we’ve put together. HUGE thanks to all involved, couldn’t have done it without you all! 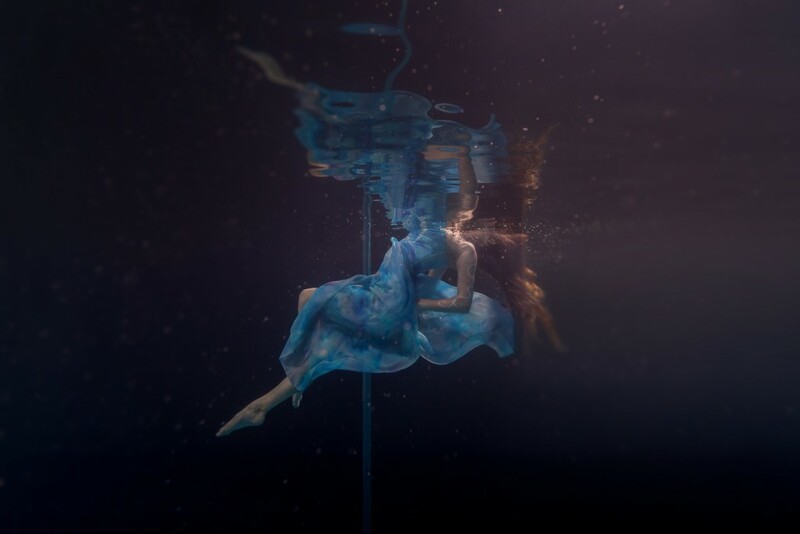 Underwater Pole Fitness – Behind the Scenes from Brett Stanley Photography on Vimeo.